Homeschool writing teaches your child to communicate. Content - such as, writing style and organization. When homeschooling writing, encourage your child to describe places, activities or pictures using sensory words to convey texture, sights, smells and sounds. Provide a dictionary, thesaurus and grammar handbook, and teach your child to use them. Use judgment as to when to correct errors. Be a coach, not a critic. 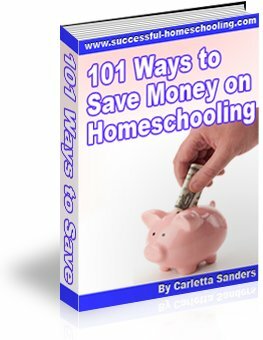 Here are some tips for choosing a homeschool writing curriculum. Keep a journal or notebook. Let your child write about anything he wants, or dedicate it to a specific subject like book, movie or food critique. Prompt your child to keep a log of places he has been, or a journal of things he is thankful for. Computer lovers may want to start a homeschool blog. Write letters to your child and encourage her to write letters to friends, grandparents, businesses, organizations and politicians. Write poems, greeting cards, invitations, thank you notes, or complaint letters. Or write to companies for information. Teach your child the correct way to address an envelope and format a letter. As a related activity for homeschooling history, learn more about another culture by writing to a pen pal or missionary. Set up a chalkboard or dry erase board where your child can write telephone messages or leave notes for family members. Practice note taking during seminars or church sermons. Let your child keep track of his own routines, schedule and calendar. Write how to instructions or directions. Make a cookbook of favorite recipes and take pictures of the final product. Teach your child to make outlines to organize her thoughts. Encourage your child to write plays, poetry, rhymes, jokes, riddles and comics. Rewrite headlines of newspaper stories or write stories to go with existing headlines. Have your child create stories to go with a painting or magazine photo, or retell and illustrate his favorites. Begin a story and have each member of the family add on a sentence. Document family stories and write about your family's history. Interview and write about family members or publish a family newsletter. Encourage your child to write about his or her life story and plans for the future. For more ideas, read Any Child Can Write by Harvey S. Wiener.